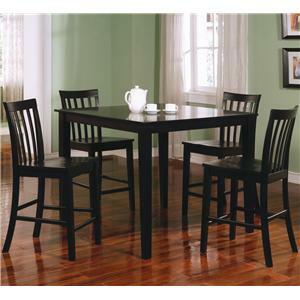 This counter height table and chair set is a great addition to a breakfast nook or cozy dining space. Features such as the table's drop leaves and two shelves make it very functional, especially in smaller scale homes or apartments. 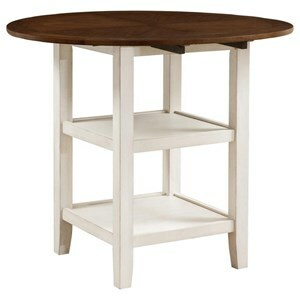 The two-tone finish creates a nice pop of contrast for this table's relaxed and casual style. 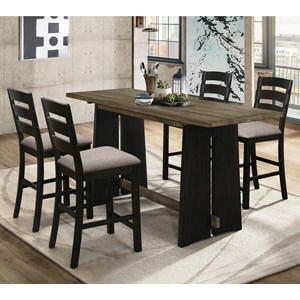 The slat back chairs feature a dark brown, bi-cast vinyl seat cushion adding comfort to this dining set. 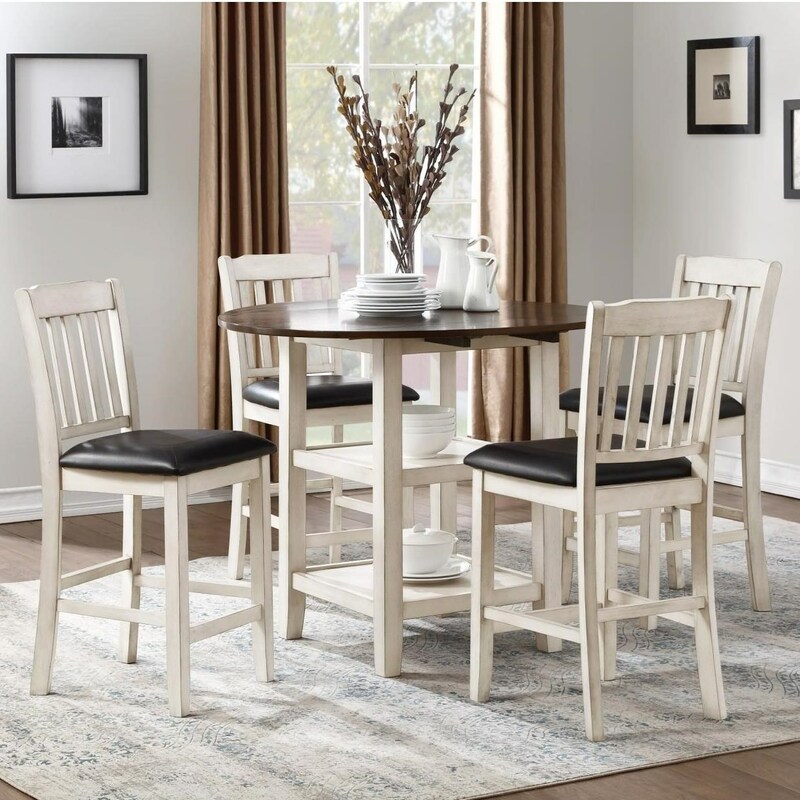 The Kiwi Five Piece Chair & Pub Table Set by Homelegance at Value City Furniture in the New Jersey, NJ, Staten Island, Hoboken area. Product availability may vary. Contact us for the most current availability on this product. 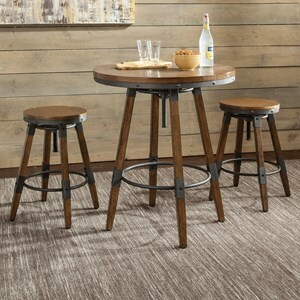 Designed with small scale homes in mind, this collection is a perfect solution for your dining area. 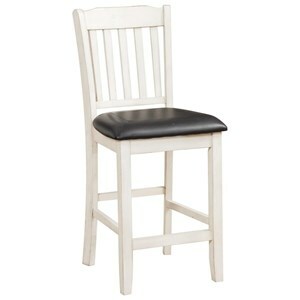 Let its two-tone finish and relaxed, casual style create a welcoming look in your dining area or breakfast nook. 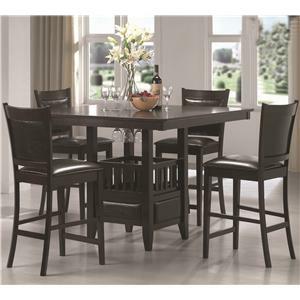 The Kiwi collection is a great option if you are looking for Casual furniture in the New Jersey, NJ, Staten Island, Hoboken area. 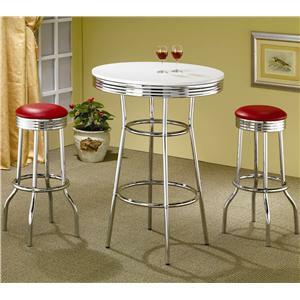 Browse other items in the Kiwi collection from Value City Furniture in the New Jersey, NJ, Staten Island, Hoboken area.